When the call for proposals is active (approximately late November to January 15), projects should be submitted through the online portal, which contains detailed submission instructions. 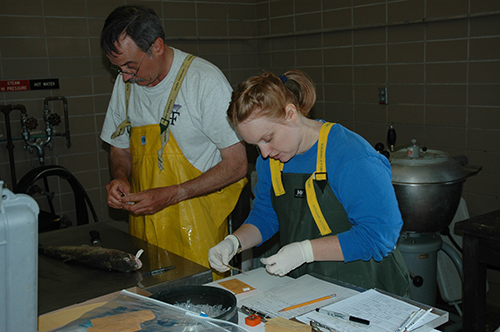 The commission funds projects submitted to the Fishery Research and Sea Lamprey Research Programs ranging from U.S.$10,000 to U.S.$100,000 per year (average approximately U.S.$40,000) that generally run for 2-3 years. For more information, review the current call for proposals. Projects that meet particular criteria can also be funded as pilot projects or through the Technical Assistance Program. Each year, the commission offers 2 awards of up to $1500 each to support student participation at scientific conferences. The call for applications is typically posted in January and the award is announced in April. Full-time M.Sc. and Ph.D. students are eligible to apply. Pilot research projects are designed to explore new hypotheses and concepts and to acquire preliminary data to guide development of full research proposals. Pilot project proposals may be submitted at any time via email and must be less than or equal to $20,000 USD and up to one year in length. According to the program schedule below, pilot proposals submitted on or before the July 15th deadline will be considered for funding at the September research board meeting. Pilot proposals submitted on or before the January 15th deadline will be considered for funding at the March research board meeting. 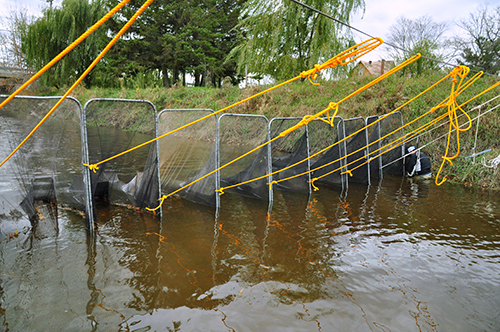 Technical Assistance Program (TAP) projects are designed to allow sea lamprey control agents and internal research partners (USGS, USFWS, DFO) to develop scientifically rigorous projects that respond rapidly to Sea Lamprey Control Program (SLCP) needs for technical information that improve implementation of the control program. TAP projects are typically one year in duration and less than $20,000. For more information see the TAP process document. Unsure where your project fits within the research program? See our guidelines. Proposal templates, including submission instructions, for all project types are available for download on the Forms & Templates page. Any time Discuss potential projects with the Science Director, the chair of BOTE or SLRB, or the theme leaders (FRP, SLRP). January 15 Pre-proposals and pilot proposals are due for discussion at March research board meeting. TAP proposals are due for discussion at the April control board meeting. Early March Brief presentation on pre-proposals may be requested. Late March Investigators notified of spring pilot proposal funding decisions. April Authors of successful pre-proposals are requested to develop a full proposal. May Investigators notified of spring TAP proposal funding decisions. June 1 Full proposals due for discussion at the September research board meeting. June - July Peer review of full proposals. July 15 Pilot proposals are due for discussion at September research board meeting. August 15 TAP proposals are due for discussion at the October control board meeting. September Research boards develop recommendations for funding. Late September Investigators notified of fall pilot proposal funding decisions. October Investigators notified of research board recommendations. November Investigators notified of fall TAP proposal funding decisions. December Investigators notified of commission funding decisions. New investigators to the Great Lakes region are encouraged to develop their research programs on Great Lakes fisheries topics. Criteria for qualification as a “new investigator” and more information about the designation can be found here. To help develop successful proposals, new investigators should contact the Science Director or the appropriate research theme area leaders (SLRP, FRP) to discuss study ideas and objectives early in the development of a pre-proposal for submission. Completion reports for previously completed research are available via the GLFC Publications and Reports search engine.